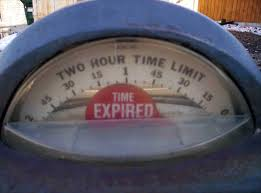 City to extend meter hours to 9 p.m.
New Haven – Starting next month, drivers will have to “feed the meter” until 9 p.m. – instead of 7, but not until midnight – in what is being cast as a compromise. The compromise was made to accommodate the complicated and, at times competing interests of consumers, workers, business and residents. The change will add two hours of enforced parking in the evening Monday through Saturday – but not the additional five the city proposed last year. James Travers, director of the city’s Transportation, Parking and Traffic Department, said the city is adopting “a model that has some proven success” that will both increase revenue, but also take into account concerns expressed by downtown businesses. Dynamic parking jargon aside, what does it all mean? Starting next month, motorist parking at meters, which mainly are downtown and in the adjacent areas, will be required to pay until 9 p.m. instead of 7. It will be free after that. At the same time, as the downtown transitions from daytime consumers to nightlife consumers, all meters will be reprogrammed to eliminate time limits in the evenings. That means after 5 p.m., people parked in, say, a 30 or 60 minute spot won’t have to leave between appetizers and entrees or during an intermission at the Shubert Theater to drop in more quarters. Starting at 5, any meter will take up to four hours worth of coins. Most downtown meters also take credit cards. Fees will remain at $1.50 per hour. Consider this: During the day, retailers clamor for readily available a space, which is achieved by time limits that promote turnover. But, in the evening, when the bar, restaurant and club nightlife takes over, the goal to stay longer. At night, though, many of the spaces are snatched all night by employees of nightspots looking for cheap parking. The trick, Davis said, is to strike the right balance with on-street parking policies to serve the needs of both business models and the growing downtown apartment market. Last year, the proposal of a new policy to expand enforcement hours until midnight drew push back from businesses, consumers and lower-wage restaurant employees who said they depend on more affordable on-street parking as an alternative to the $10.00 flat fees, charged by many lots and garages. And that, from the city‘s perspective, was also part of the issue, that on-street parking was being filled all night by nightlife employees instead of people who fill the tills. Travers met with many downtown businesses and ultimately decided to cut back the enforcement period until 9 p.m., but also expand it to all city meters and not just those downtown. The city plans to implement the changes in mid-May.